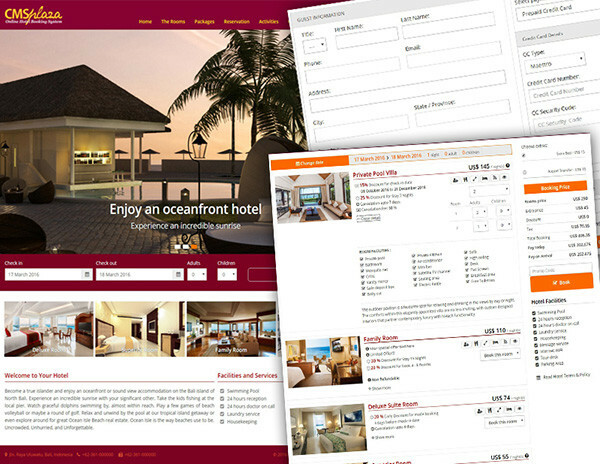 Designed to perform extensive complex reservation system for OTA site. Have more system control, secure database, complete features and configuration setting than multi hotel system. CMSplaza system offer NO-LIMITATION for property Hotel, Rooms type and sale amount of rooms (occupancy). You free to add as much as you want into the system. Top destination addon module allow you to create unlimited top destinations and allow you to configure with lots of module parameters setting. 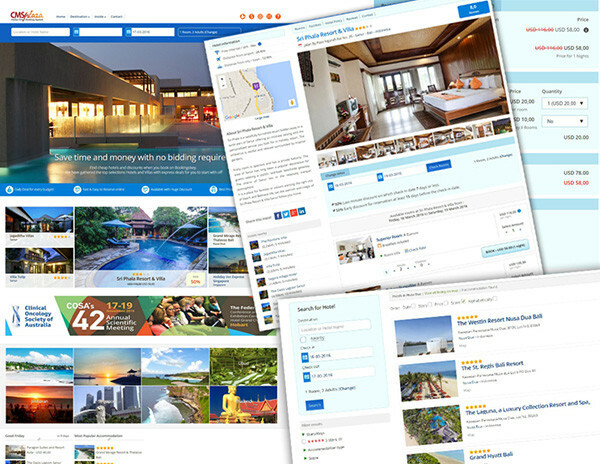 Upload unlimited photos, select unlimited facilities, define minimum or maximum number of night for booking, minimum days for cancellation, terms and conditions with much more feature inside hotel admin make CMSplaza Hotel reservation system best solutions for Online Travel Agent (OTA). CMSplaza only charges Onetime. This will make you save on your money in the future time to time – no commission or other hidden extras fee for our system. You can install at your own hosting at any linux server. Presentable booking specifications in PDF format with your logo, to print and hand to your guests. With CMSplaza mobile friendly booking engine, your guests can book online from their smart phone on the go. Allow you to accept group booking for any size or if you want to sell beds as hostel you can easily setup any dorm room. 3 simple steps for complete booking: Search hotels, select rooms, submit payment details for complete booking and if user email address booked any room before our system smart enough for track it and login automatically without loading new page and help user to finish booking in single click. After complete booking user will receive details booking information with confirmation number in email and see details of booking also customer enable to track booking status in website. User also receive automatic login information for future access. Advance discount management system allow you to offer discount price for any specific hotels or any specific countries, states or cities help you to promote your business in personalized style. 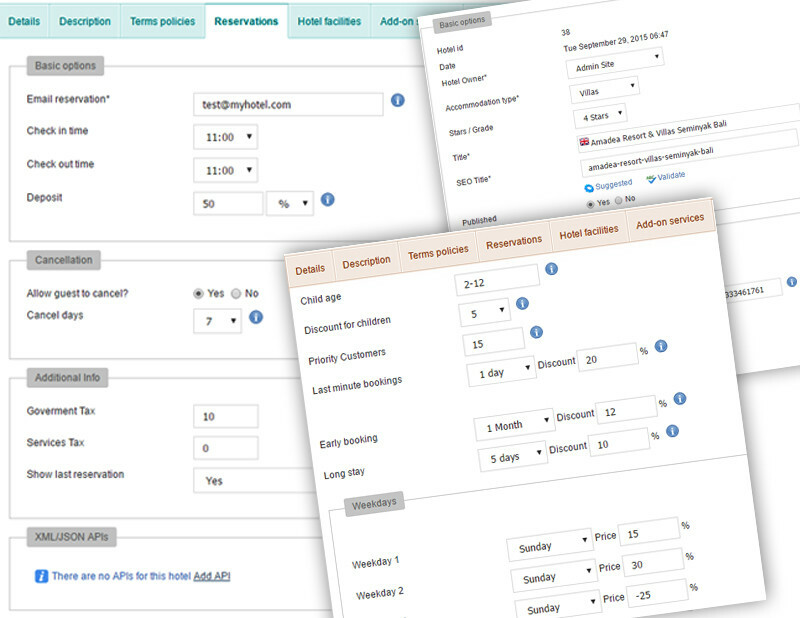 Hotel admin can add unlimited rooms and define unlimited rates for each single rooms using very easy to use interface. Hotel admin can also manage each single room rates and availability for every single days. Offering maximum flexibility, CMSplaza booking engine will allow you to receive direct online bookings regardless the type of property you own. Hotel admin can translate all required content all most any language for offer multilingual feature. SEO feature help you to add custom meta tag and descriptions for hotel admin to optimize hotels for Google or Bing organic search. Each hotel owner have individual control panel for manager hotels/property information in secure extra-net management area. 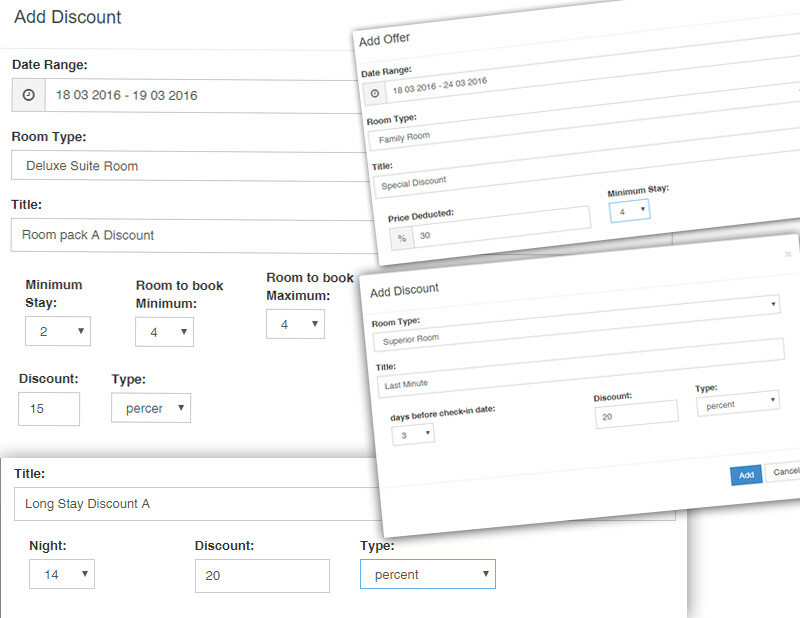 Easy to use interface of booking history report, help hotel owner to generate complete availability reports of all rooms rates and availability. CMSplaz is an online reservation service for those hotels & hotel groups that aims to boost guest’s bookings revenue by offering a customized booking engine. Without changing your domain URL, we provide various API methods to access, retrieve, and manage data. 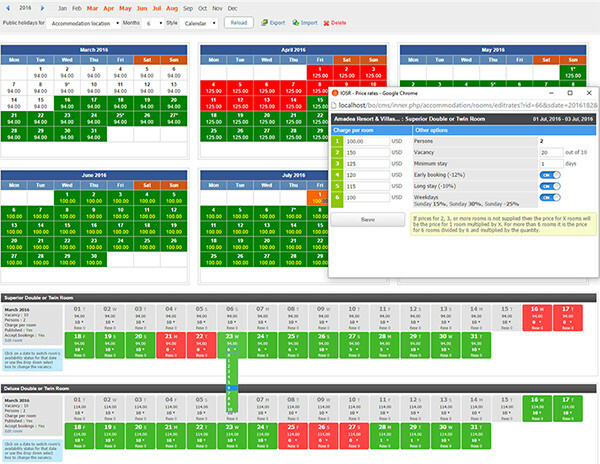 The ready to use API methods include property, availability, booking, reservations, voucher and update. The API is Restful and response formats include JSON.